I am the only one in this house who drinks rose. My wife is just not a fan and has said time and time again, “what’s the point”. We argue over it, and it leads me to drink the bottle myself — not that there’s a problem with that. 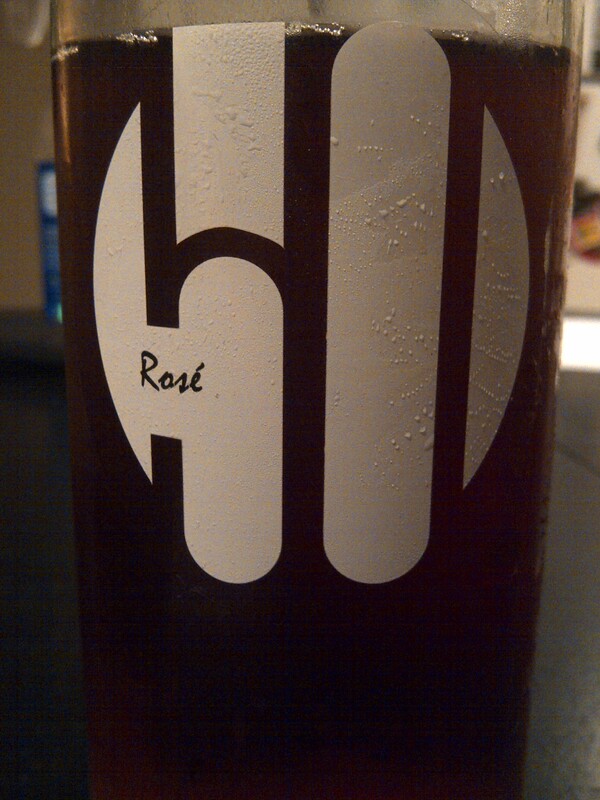 I enjoy my rose dry. Bone dry. Don’t offer me anything with a hint of residual sugar. Not going to touch it. I prefer my rose to have a bit of a tannin bite with big bright acidity. I love rose with roasted chicken or even better at the Thanksgiving dinner table. Martha Clara Vineyards in Riverhead is one of the few Long Island producers that release 4 Rose wines. One sparkling and three still. This rose that I tasted was and is the driest of all. And quite frankly it was delicious. Martha Clara Vineyards 2010 “Five-O” Rose, ($18) a blend of 49% Merlot, 38% Syrah, 8% Cabernet Franc, 3% Cabernet Sauvignon, 2% Petit Verdot. The wine shows a nose of Strawberry, ripe berries, black pepper, fresh herbs and a distinctive fresh-baked rhubarb pie note. The palate showed cranberry, raspberry strawberry and spice with more fresh herb. As it warmed up to room temperature, a note of watermelon and mint appeared. Fresh acidity and ripe tannins made this wine delicious, mouth-watering and perfect with food. There was a hint of effervescence to the wine which I enjoyed. There may not be much of this left, it is from 2010 and some vineyards are ready to release some of their 2012, if they have not already. But if you find some, it will ease you out of your wintry blues soon and make you think spring. This entry was posted in 2010, Martha Clara, Rose and tagged Cabernet Franc, Cabernet Sauvignon, Long Island, Martha Clara Vineyards, Merlot, Petit Verdot, Wine, Wine tasting descriptors. Bookmark the permalink.